Our Army themed NERF War parties will turn your party people into a well-trained squadron of soldiers! Our Army NERF War parties are 100% action! Do you have a little soldier in the family? Do they have a camouflage outfit on, complete with war paint, and is ready to go to battle? If so, it sounds like an Army NERF War party is for them. 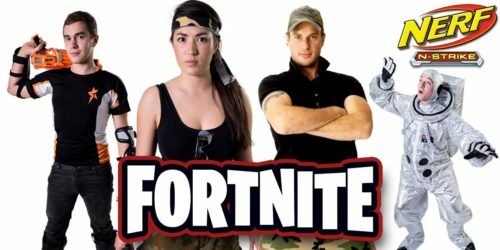 Our Commando will be schooling the kids in essential military skills, preparing them to face the enemy and guiding them through a final battle, complete with fierce balloon swords, or if you choose, a NERF War Party! NERF War Parties for all ages! Perfect for kids up to 7 years old, our Commando arrives at the party ready for action. He’s tough, no nonsense and knows how to keep the troops inline. Building on the ‘Cadet’ format, the ‘Special Forces’ Army party is a Boot Camp format designed for older kids, to turn a bunch of wild boys and girls into an organised cohort, pushed to their limits. 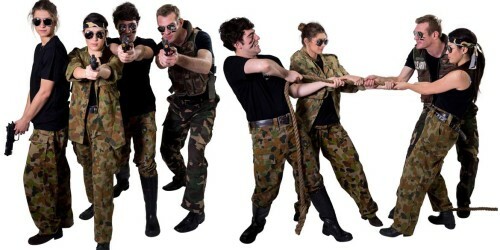 Our SAS NERF WAR PARTY is the ultimate in Commando and Army themed parties! 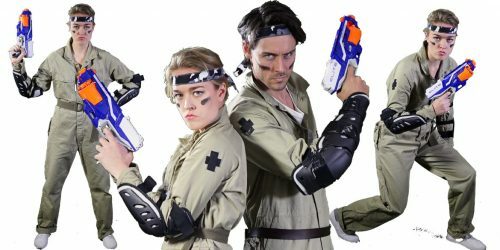 They are a minimum 90mins long and and are split into two parts: Tactical Operations, and Weapons Training, including the awesome NERF WAR PARTY that has to be seen to be believed! This event also includes NERF Gun Hire. The best NERF Gun Party in Sydney! An army themed party will turn your party people into a well-trained squadron of warriors. You’ll have a fully trained Commando ready to put the kids to work, They’ll be schooled in essential military skills, and once they’ve mastered them, they’ll be confident and ready to face the enemy. They’ll take part in an action-packed final battle, complete with fierce balloon swords, and if the older kids are looking for a weapon that’s a bit more powerful, we’ve also got all the gear for a NERF War party! Not only does an army themed party boost fitness, but the kids will gain a plethora of skills in stealth, agility, precision, strength, and teamwork, all while having fun with their closest friends. While our Commando is occupied keeping the troops busy, active and totally engaged, don’t forget to have plenty food ready on hand, as once they’re done, the hard-working soldiers will be ready for a feast. If you’ve got an aspiring little military man or woman in your home, it’s about time that they had their two favourite things come together – birthdays and Boot Camp’s go hand in hand! Call us today to book your child an Army themed party! Want more Army birthday party ideas? If you’re looking for something different, we also have loads of Army birthday party ideas to help create a specially tailored event just for you! Please feel free to call us to discuss how we can make your event extra special. Or click through to our FAQ video page with more than 30 videos we can answer all your questions! For an epic Army themed/ NERF Gun Party in Sydney! 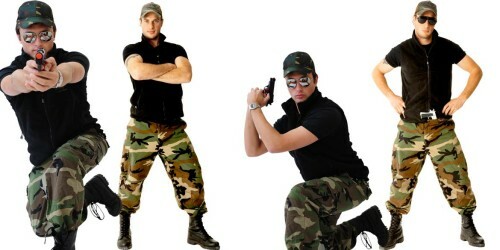 For more information on our Army themed parties, check our sister website Army & Spy Parties. This is dedicated specifically to our Commando training, NERF War Party, and Army party themes, catering for children aged 3-15 years!